Overview of some important years in Astrid Lindgren's life. Astrid Lindgren’s parents, Samuel August Ericsson and Hanna Jonsson get married. Hanna’s and Samuel August’s first child, Gunnar is born. Astrid Anna Emilia is born on 14th November at the parsonage in Näs, Vimmerby, second child to Samuel August and Hanna. Astrid’s sister Stina is born. Little sister, Ingegerd is born. The composition,På vår gård(On Our Property) is published in the Vimmerby Tidning on 7th September. After that, Astrid gets the nickname ”Vimmerby’s Selma Lagerlöf”. Astrid graduates from high school with top grades in Swedish. Works as a volunteer at the Vimmerby Times. Astrid gets pregnant, but does not wish to marry the child’s father. She moves to Stockholm where she acquires qualifications as a secretary. In December her son Lars is born in Copenhagen. He spends his early years in the care of a Danish foster family. Astrid visits him there as often as she can. Works as a secretary in Stockholm for, amongst others, the director Torsten Lindfors, father of Viveca Lindfors who later became a Hollywood screen-actress. Astrid is said to have baby-sat Viveca, and to have told her fairytales. She begins working atKAK(The Royal Automobile Club) where she meets Sture Lindgren, her husband-to-be. Brings Lars home to Sweden. For the first few months, he lives with her in Stockholm, but after that she takes him to Näs in Vimmerby, where he is looked after by his grandparents. Astrid and Sture are married on Easter Saturday. The little family then moves into an apartment at No.12 Vulcanusgatan in Stockholm. Her first children’s stories are published inStockholms-Tidningen (a daily newspaper) and Landsbygdens Jul (a magazine). Her daughter Karin is born and Astrid becomes a housewife. Works as secretary to Harry Söderman, known as ”Revolver-Harry”, Associate Professor in Criminology at Stockholm University, where she learns a great deal about encryption, finger-printing and criminal technology. Astrid begins to write a “War Diary” at the outbreak of the Second World War on 1st September. Astrid Lindgren is offered a top secret job at the Special Intelligence Agency. She is assigned to the mail-censorship office which gives her deep insight into the afflictions of war in the world. The assignment continues for the duration of the War. Her daughter Karin invents the name “Pippi Longstocking”, and Astrid begins to tell stories about Pippi to Karin and her friends. The family moves to No. 46 Dalagatan in Stockholm – the apartment where Astrid lived for the rest of her life. Astrid puts the stories about Pippi Longstocking down on paper and gives them to Karin as a present for her 10th birthday. She sends the manuscript to the publishing firm Bonniers, who after some consideration reject the book. Rabén & Sjögren run a competition for authors of books for girls. Astrid makes her debut as author by winning 2nd Prize with Britt-Mari lättar sitt hjärta. She meets Elsa Olenius, librarian and drama teacher who founded Our Theatre and became Astrid’s friend for life. Wins 1st Prize in the Rabén & Sjögren competition, Best Book for 6-10 year olds with a reworked manuscript forPippi Longstocking. The book is released at the end of November the same year and becomes a great success with 20,000 copies sold in two weeks. 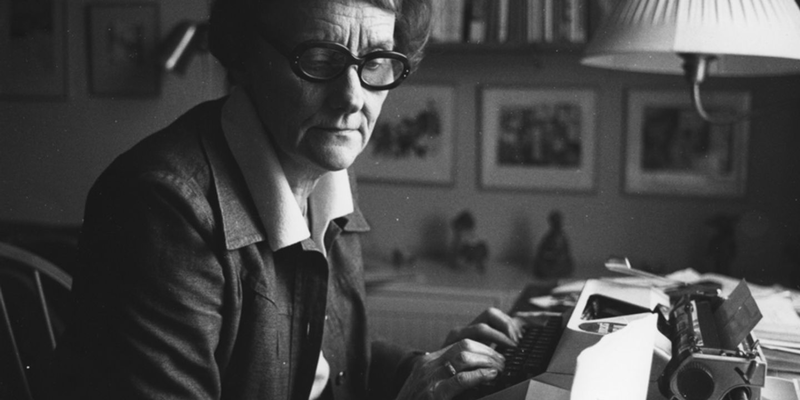 In the autumn, Astrid Lindgren is employed as Publishing Editor with Rabén & Sjögren. Pippi Longstockingis translated into Danish, Finish and Norwegian. Kalle Blomkvist, Master Detective is released and Astrid wins shared 1st Prize in the Rabén & Sjögren competition for Best Teenage Thriller. Pippi Goes On Board is released. The first Astrid Lindgren film, Kalle Blomkvist, Master Detectiveis made. The book,The Children of Noisy Village is released. Travels around in the United States for a month. The following year, the women’s magazine, Damernas Värld begins to publish Astrid’s travel column. Her articles are later reworked into the first of three books about Kati, Kati in America. Pippi Longstocking is filmed for the first time. Astrid was not satisfied with the result. Becomes the first person to receive the Nils Holgersson Plaque. She is awarded the prize for Nils Karlsson-Pyssling, which was published the previous year. Her husband Sture Lindgren dies. Is awarded the Deutscher Jugendbuchpreis, Sonderpreis (German Youth Literature Prize, Special Award), for Mio, My Son. Begins her collaboration with Olle Hellbom, in the making of the third Bill Bergson film. They made a total of 17 films together. Awarded the H.C. Andersen Medal, often called the “Nobel Prize for Children’s Literature”, forRasmus and the Tramp. Astrid’s mother Hanna passes away at the age of 82. Väljs in i Sällskapet De Nio (på stol nr 8). Mellan 1973 och 1986 var hon sällskapets ordförande. Swedish Television begins broadcastingSeacrow Island. The stories were written especially for TV. Astrid Lindgren buys her childhood home, Näs from the Church and restores it to look the way she remembers it. Näs ceases to be a farm. Rabén & Sjögren institutes the Astrid Lindgren Prize to mark her 60th birthday. Astrid’s father Samuel August passes away at the age of 94. Pippi Longstocking becomes a TV series and is a great success. Astrid Lindgren retires from Rabén & Sjögren at the same time as Hans Rabén, the founder of the firm and Astrid’s boss all through the years. Receives the Swedish Academy’s Grand Gold Medal. Receives an Honorary Doctorate from Linköping University högskola. Mottar medaljen Litteris et Artibus, åttonde storleken, som delas ut av konungen. Receives Friedenspreis des Deutschen Buchhandels, the German Booksellers’ Peace Prize. ”Never Violence!”, her acceptance speech at the ceremony stirs up debate and contributes to the decision in Sweden, the following year, to introduce a law against corporal punishment of children. Receives an Honorary Doctorate of Letters from Leicester University, Great Britain. The first Doctor’s thesis dealing with Astrid Lindgren’s writings is presented for disputation by Ulla Lundqvist at Stockholm University. It has the title,“Children of the Century – the Pippi Longstocking Phenomenon and the Circumstances that Lead to it”. Takes an active stand against nuclear power in the Swedish referendum. Begins to transfer her personal archives of letters, manuscripts and press clippings over to the National Library. The theme-park, Astrid Lindgren’s World is founded in Vimmerby, under the name“Sagobyn”(Fairytale Village). Initiates a debate concerning the treatment of domestic animals in modern Swedish agriculture with an article in Sweden’s biggest daily newspaper, Dagens Nyheter. Receives the promise of a new animal protection law, “Lex Lindgren” as a birthday present from the Swedish Prime Minister. The Ambassadors to Sweden from both the Soviet Union and USApay tribute to Astrid at her 80th birthday celebrations. Astrid’s last book is published: the picture-book,Jullov är ett bra påhitt, sa Madicken. Receives “The Right Livelihood Award”, sometimes called “The Alternative Nobel Prize”. The first Swedish satellite is launched and is named “Astrid1” after Astrid Lindgren. On board are three instruments named after the characters Pippi, Mio and Emil. The children’s culture and adventure centre, Junibackenopens on the Royal Island of Djurgården in Stockholm. 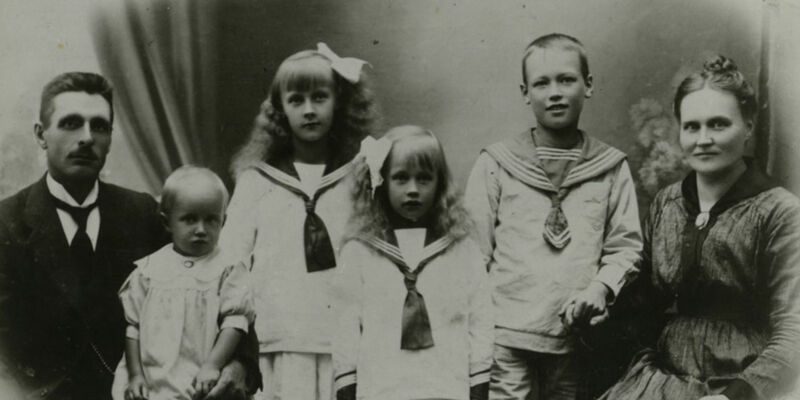 Her little sister, Ingegerd dies. Astrid Lindgren turns 90. The government donates 7.5 million kronor (the same amount as for a Nobel Prize) to the foundation established for the preservation of Astrid Lindgren’s works, for the erection of a building and for an exhibition about Astrid Lindgren. 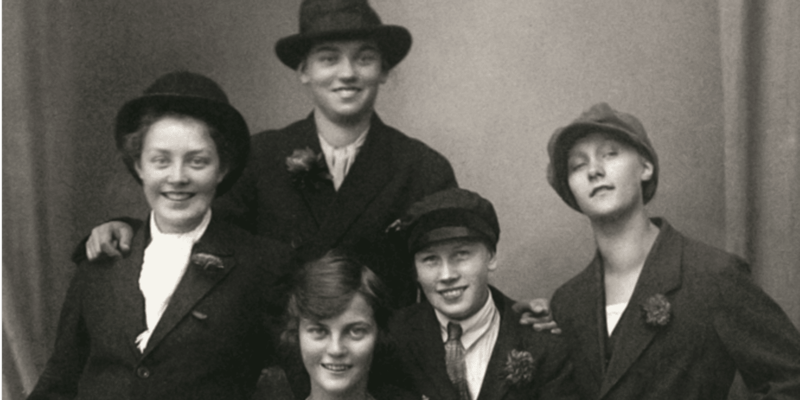 The Astrid Lindgren complex built by Stiftelsen för bevarandet av Astrid Lindgrens gärning (The Foundation for the Preservation of Astrid Lindgren’s Works), is opened in Vimmerby. A jury appointed by the Swedish Radio’s Culture Department elect the Author of the Millennium. Astrid Lindgren is voted second after William Shakespeare. Franz Kafka takes third place. After a period of illness, Astrid Lindgren passes away on 28th January at her home in Dalagatan. The funeral service is held in the Great Church in Stockholm on 8th March – International Women’s Day. She is later buried in the family grave in Vimmerby. The Astrid Lindgren Memorial Award (ALMA), the world’s second largest prize for literature is instituted by the government. Her Sister Stina Hergin dies. The centenary celebration of Astrid Lindgren’s birth is given attention all over the world. Astrid Lindgren’s Näs is opened and includes a new exhibition hall adjacent to the old Vimmerby parsonage. Her childhood home is opened to visitors.